Having a cat that defecates anywhere but the litter box is frustrating, annoying, and stressful for owners. What seems to be a deliberate action from the cat is actually caused by simple mistakes from the human in most cases. Finding the solution to your problem is relatively easy, if a bit time consuming. Whether you are new to the cat owning life or if your kitty has recently acquired a litter box aversion, finding the true reason behind the behavior is important. The following list of rookie mistakes and possible causes includes the best solutions to the inappropriate elimination issue at hand. First and foremost, you should take the cat to its veterinarian to rule out any health issues instead of assuming it is a behavioral problem. Sudden illness such as diarrhea or physical discomfort can be at fault. The cat may have associated the box with the pain and therefore stopped using it for elimination. You may choose to take a sample of your pets stool to have it clinically analyzed during the visit with the veterinarian. Another common cause of litter box refusal is declawing. Declawing is considered inhumane and unnecessary, and should be avoided at all costs. A declawed cat will have very sensitive paws, sometimes painful paws as well, and the litter texture may be too uncomfortable to use. Once medical issues have been ruled out, you can start tinkering with easier possibilities. Having the wrong litter box is the main one; whether it is too small or if it is covered. Many owners believe covered litter boxes provide privacy and confines foul odors, when in reality it does neither. 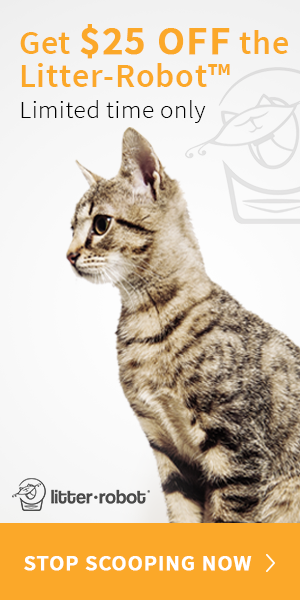 Covered litter boxes give a sense of confinement to many cats and actually create more odors due to lack of airflow. Having soiled litter that does not dry fast produces bacteria rapidly, causing stronger odors. The best solution is to just uncover the litter box. The litter box may also be too small for your cat to use comfortably. Imagine having to go in a cramped space. Generally speaking, the litter box should be about 1 ½ times the length of the cat. The best solution here is to get a bigger box and see if that resolves the issue. Also, remember the “one plus one” rule for cat owners; there should be one box per cat, plus one extra. Cats are very clean animals. The rule is placed because many cats prefer to keep their businesses separate, liquids in one box and solids in another. It is necessary to fill the box with approximately three or more inches of litter. Proper amounts of litter will also keep odor problems at bay. After scooping, it is wise to top off the litter with a bit more and remember that whichever amount you use, be consistent with it. Cats have a substrate preference and if the litter being used does not fit those preferences; they are less likely to use the box. 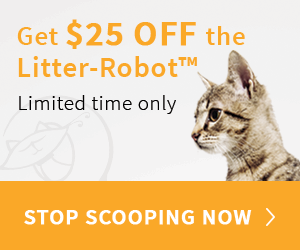 You should opt out for unscented, sand-like litter filler. This type of litter is easier to dig through and felines enjoy covering up their wastes properly. Using a strong smelling perfumed litters may be too much for your cat’s nose considering they have millions more of scent receptors compared to you. The best solution is to use sandy textured litter that is unscented and see if your cat goes number two with this new change. Location is a key factor for litter box use. Cats, like humans, need to feel relaxed and safe when defecating. Make sure to place the litter box somewhere quiet and reassuring. It should be far away from busy and noisy rooms such as kitchens and kept away from noisy appliances too. The best solution is to avoid placing the litter box in cramped, damp, noisy, or dirty places. Abrupt changes do not go well with cats, which are creatures of habit, so the sudden aversion to the litter box could be due to stress. Being patient and avoiding punishing your pet is the best solution in this case. As previously mentioned cats have very sensitive noses and can smell much better than humans so using strong cleansers to clean the litter box is not the best idea. Leaving the litter box dirty is also the wrong choice. The best solution is to clean using diluted soap with a tiny bit of bleach. 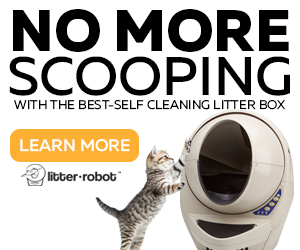 Cleaning should be done at least once a month if you use the scoopable litter and on a weekly basis if not. If your cat has refused to use their litter box for elimination, do not lose hope. Taking a moment to analyze any changes from your part will help determine the cause. Once the underlying issue is resolved, your cat is sure to happily use the box. Your pets vet is another important source of information to seek advice from, especially if no other remedy has worked.